I had only become aware of this film because of Facebook a few months ago. Being a part of a few horror groups allows me to find out about films that I otherwise might not have ever heard of, much like this film. When Headless was released on DVD, it seemed (to me anyway) to come out of nowhere. People were going nuts over this and constantly posting pictures of there newly acquired limited edition DVD's and Blu-rays. 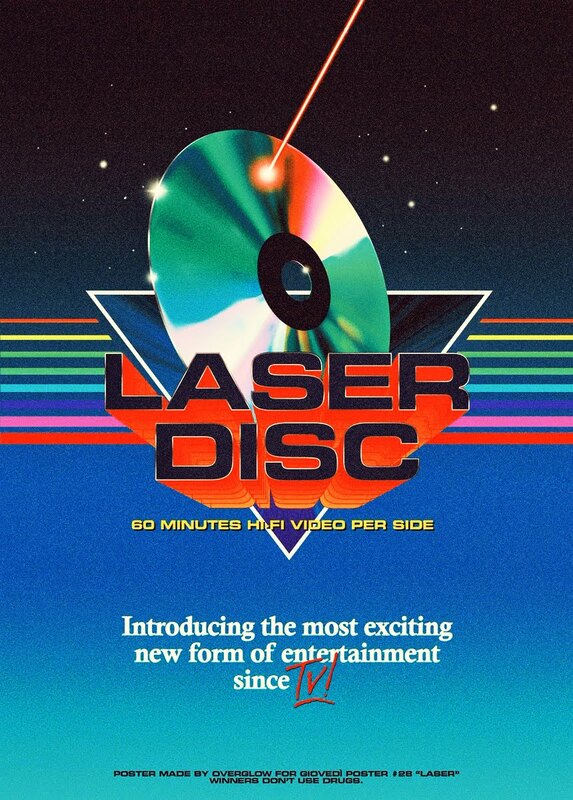 Their love and devotion to this little film got me wondering where it came from, so I did a little digging, and quickly discovered a few interesting things that got me even more excited to check it out. First, it's a sort of sequel to the underground hit Found. In Found, the killer is obsessed with a "lost" slasher film. This is that film. When Found became a cult hit, the filmmakers went about a crowd-funding campaign, and secured the financing they needed to produce this film. Headless is made to look like a low-budget slasher film made in the 70's, and in that department, it's pretty damn clever and effective. You'd think it was actually made back then, complete with grainy picture quality and scratches all over the screen. So while it is associated with Found as being the film within a film, it's also the kind of film that stands on it's own. You don't need to have seen Found to understand what's going on in this. This works just fine as a standalone film. Second, the makeup effects artist from Found sits in the directors chair this time around. So the fact that the person who knows how to handle effects work is directing this film this time around got me really pumped for what I hoped would prove to be an even more effects-heavy experience. When Headless was completed through its crowd-funding efforts, the film's first limited run immediately sold out. I soon started following their official page on Facebook soon after. Then word came through their page that at some point in the next few months they would be doing a second run, because demand was so high. When they went up for sale, I immediately jumped on the bandwagon and secured my signed Blu ray. Last week I screened it for my movie group for my Extreme Horror themed movie night, and so every one of us went into this cold, not having seen anything on it. There are things that work really well in Headless, and there are things that really keep it from being exceptionally great. The reaction was extremely varied from my movie group, with some of us enjoying it, and other's not really liking it at all. I will admit that it does require a certain kind of "open-mind" to take this in. Even then, the low-production value can be a task to sit through for some, while the extreme gore and disturbing content (necrophilia) will surely put off others. I think had this film had a stronger director, it could really have been pretty great. But unfortunately, outside of the obvious homage to ultra low-budget grindhouse style slasher's from the 70's, some sequences just don't work very well, or lost a lot of their impact due to the amateur filmmaking. Surprisingly, there is indeed a story, as well as a back story into why the killer does what he does. Some moments will leave you a little uneasy, while others will leave you scratching your head wondering if what you saw was really happening or just in the killer's imagination. It's that kind of a head-trip experience that makes it somewhat clever and different. Headless is a surreal experience to say the least. It's a daring experiment that will leave some in disgust, and entertain other sick fucks like myself. Personally I enjoyed it. It was a totally different type of film experience than I'm used to, and for that, I have grown to like it more and more. 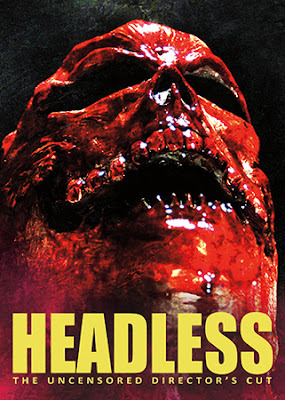 Not everyone's cup of tea, but if you like your copious amounts of gore with a little slasher throwback, then Headless will surely fit the bill. You can purchase the film on Blu ray or DVD at their official store HERE.